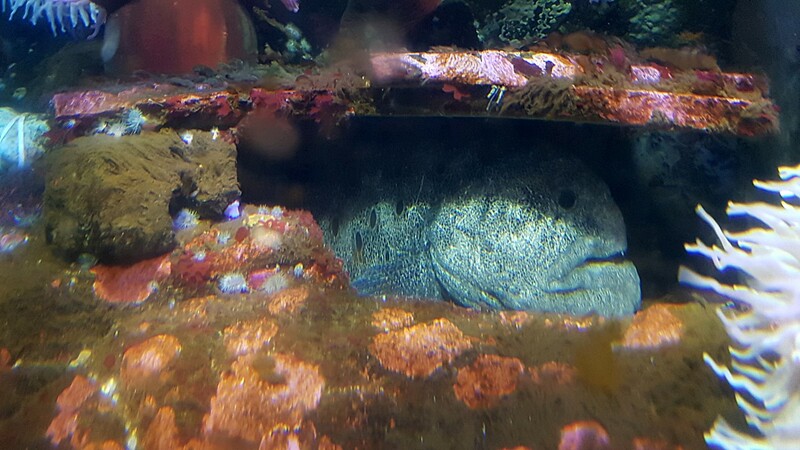 Wolf eels in our local oceans are typically five or six feet long. They have some nasty-looking teeth in a face that looks like some sort of Muppet nightmare. Despite their appearance though they are shy and docile creatures, preferring to hide among rocks like this one at the Shaw Centre for the Salish Sea in nearby Sidney, BC.